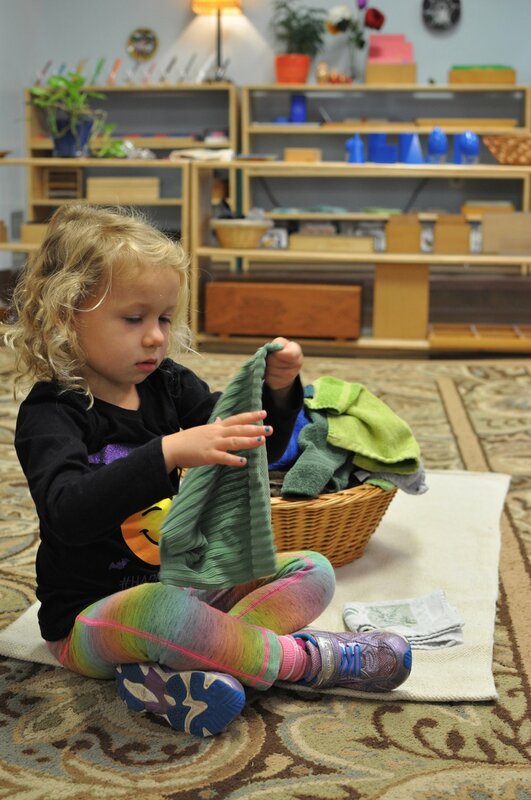 First thing every morning, an observer in the Montessori Primary classroom will most likely observe a young child diligently folding the clean laundry from the previous day’s washing. 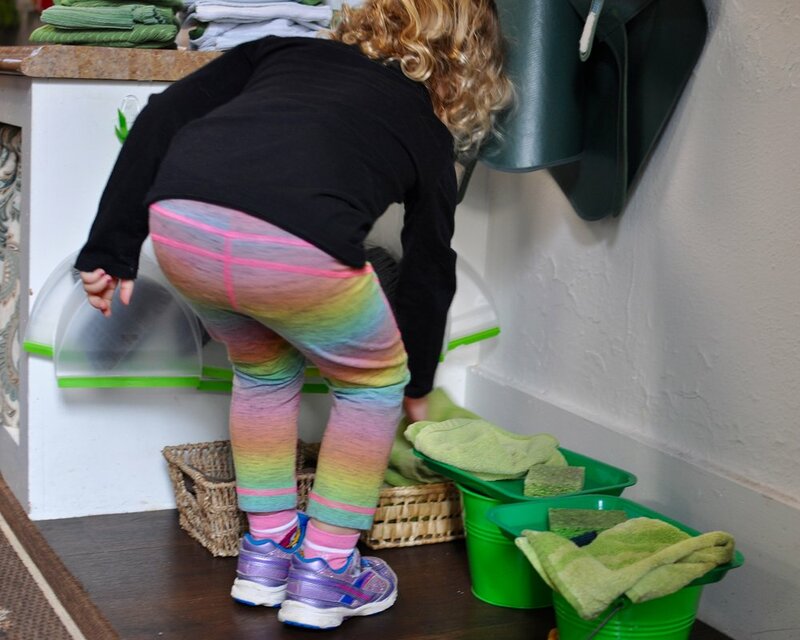 Here, Jessie Braud, Directress in the Primary Two Classroom, invites us into her beautiful classroom, where a child concentrates on her work from the beginning sequence through to the end. 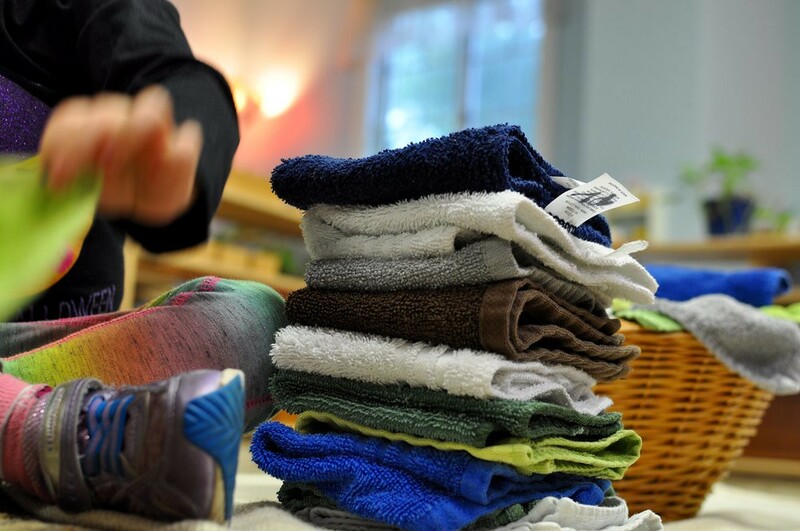 The children absolutely love folding and putting away the Children’s House laundry. 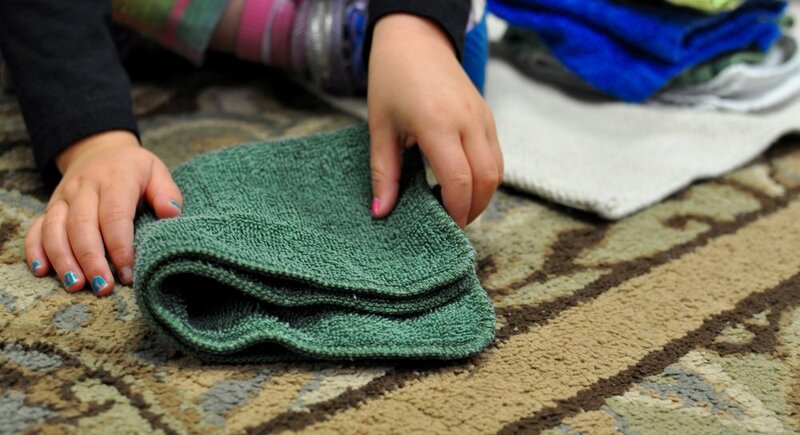 Every day, someone (and sometimes more than one child) takes it upon himself to fold all of the drying cloths, cloth place mats, and cloth napkins which are used throughout the day each and every day. They take such pride in completing the task, which includes many steps. 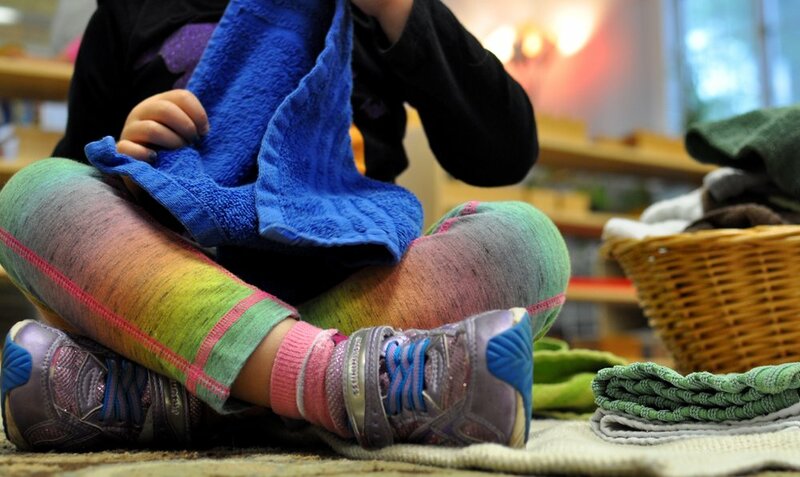 Each cloth is color-coordinated, making it easy for a child to remember where each cloth goes. Above, a child gives cloths to Cristina, the Children’s House Assistant, to place high on a shelf where they belong. The remaining cloths are all within the child’s reach, such as on low shelves or in baskets along the floor. 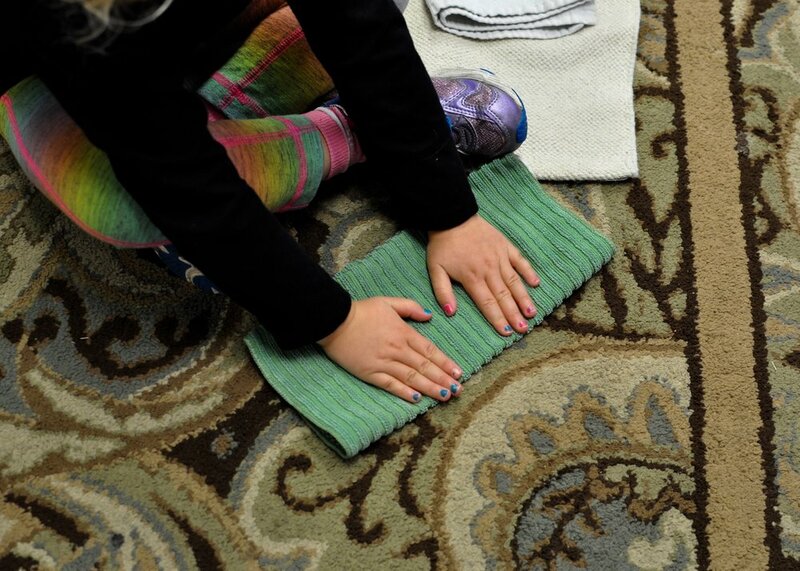 Thank you, Jessie, for this peek into the early morning workings of a Primary Classroom!